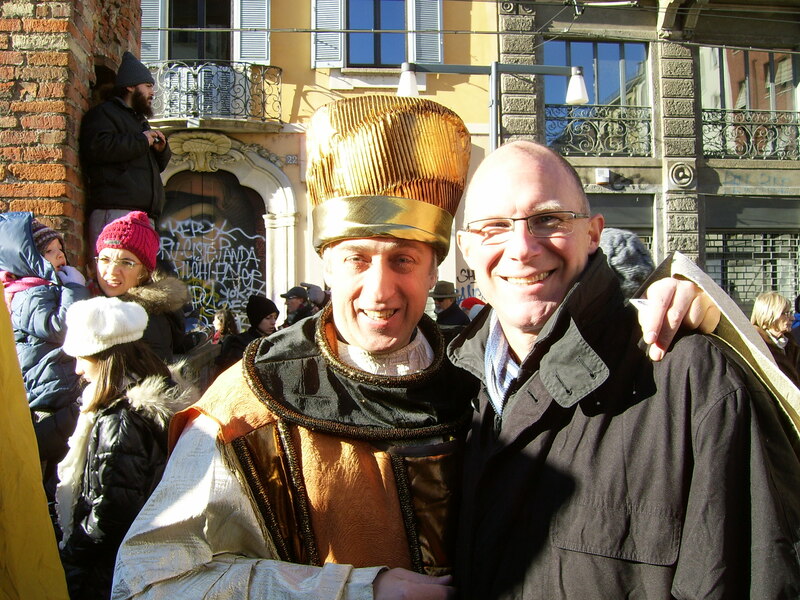 Epiphany is a national holiday in Italy, and throughout the country, there are numerous traditions celebrating the story of the Magi’s journey to Bethlehem to visit the Christ Child (Matthew 2:1-12). 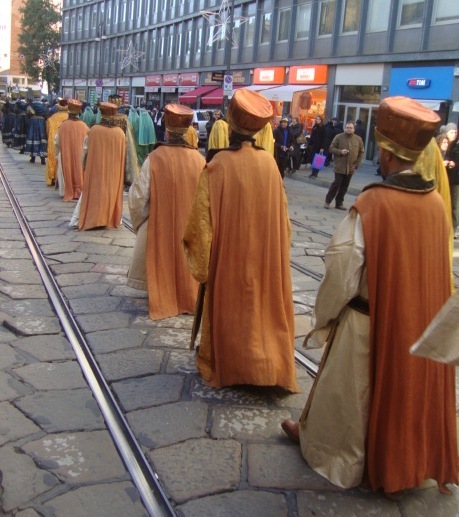 This past Friday, January 6, the Procession of the Magi (Il Corteo di Re Magi) paraded through the streets of Milan from the Piazza di Duomo to the Basilica di Sant’Eustorgio, which today still houses a portion of the Magi’s relics (see The Milanese Magi). 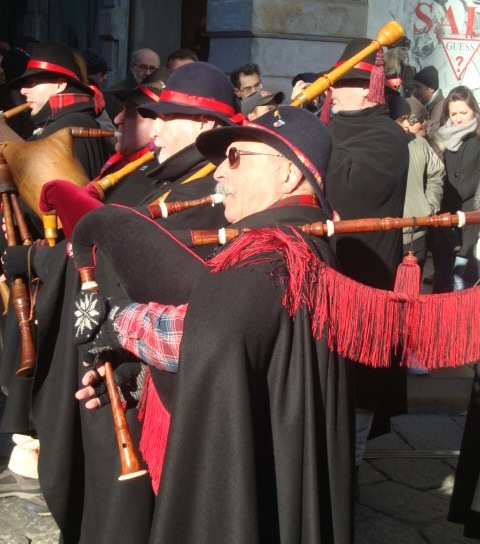 The procession left the Duomo at 11:45am led by two bands, one playing Epiphany tunes on traditional Italian bagpipes. 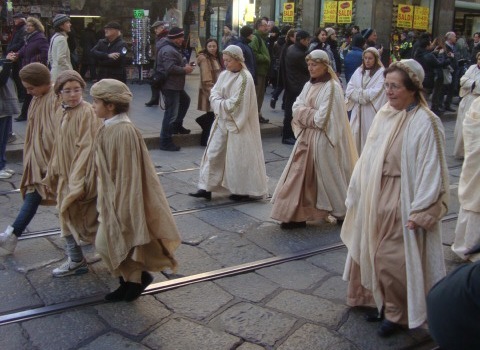 Following the bands were the shepherds and local inhabitants of Bethlehem. 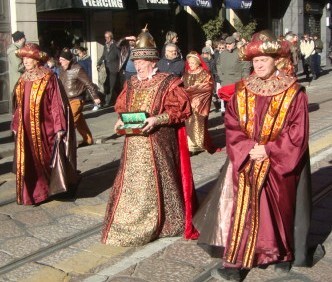 Then, one by one the Magi, each accompanied by a large, colorful retinue, fell in line. 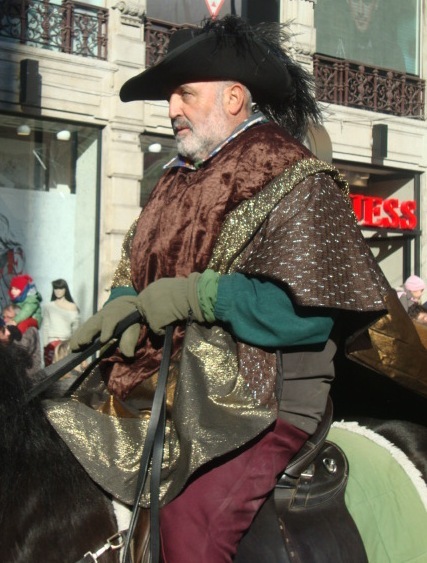 A small cavalry brought up the rear. 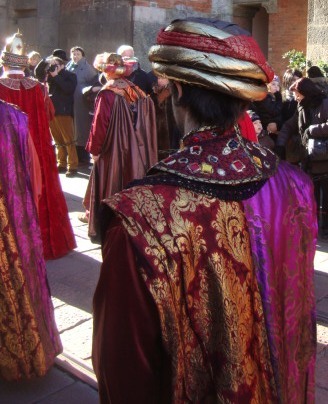 At the Basilica di San Lorenzo, located half-way along the route and serving as the station for King Herod’s court (Jerusalem), the Magi conferred with King Herod (pictured below) while the procession waited underneath the Columns of San Lorenzo. 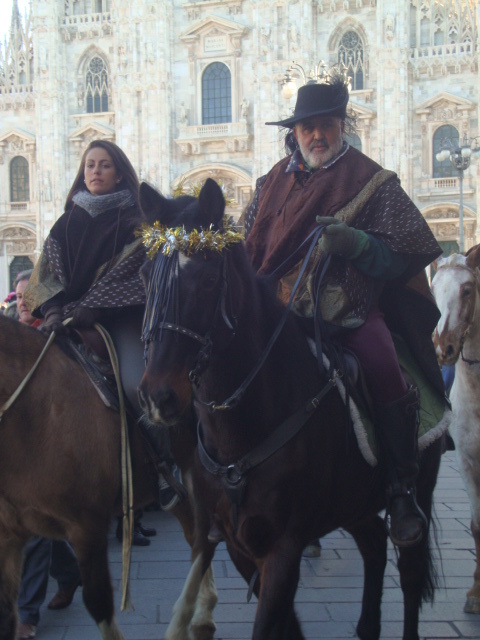 The procession then resumed its march to Sant’Eustorgio (Bethlehem), where the Holy Family waited in a makeshift stable. 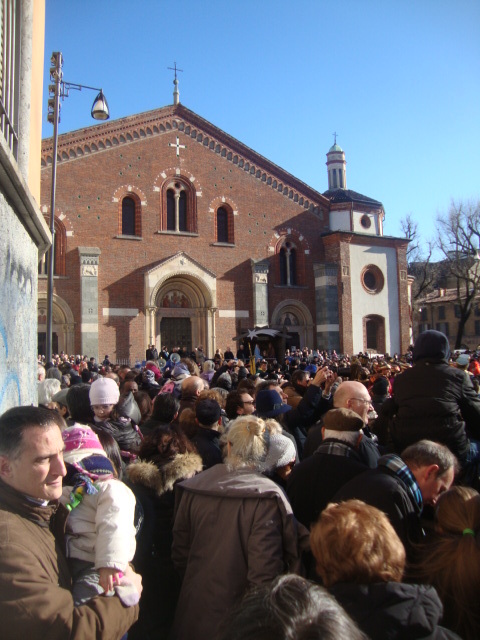 There, the three Magi, surrounded by the crowd, paid homage to the Christ Child, while on a temporary stage next to the stable, short speeches were made by representatives of the Church and the city of Milan. 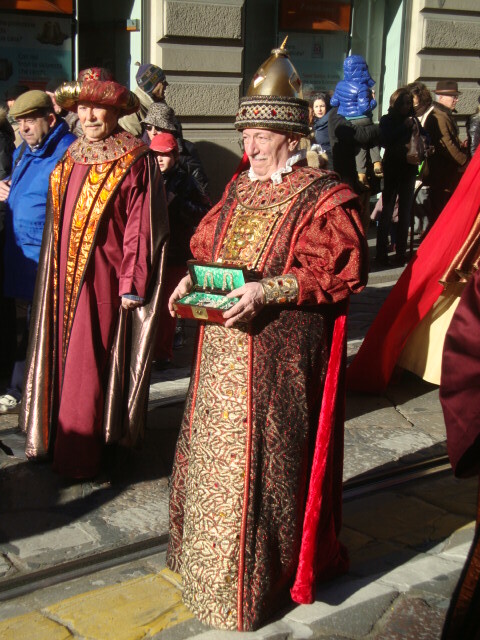 After the last speech, the Holy Family, the three Magi and even King Herod remained available for photos until the crowd slowly dispersed. 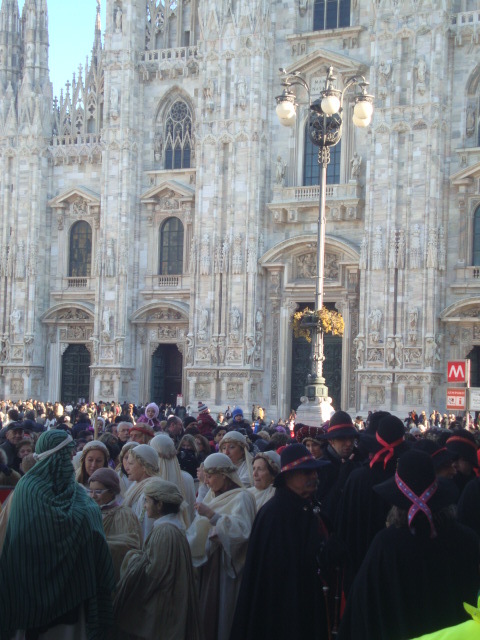 Participants in the procession spent rest of the afternoon sharing the Epiphany story with retirement homes throughout Milan. 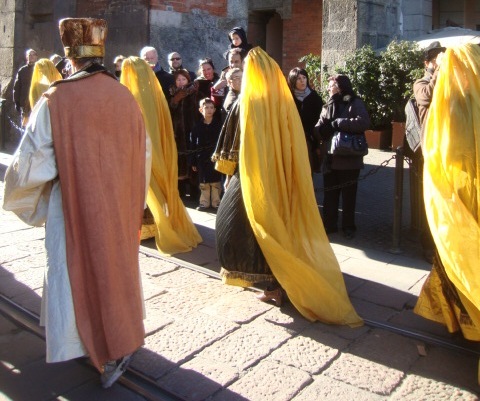 Although the holy relics of the Magi rested just meters away in the Basilica di Sant’Eustorgio, the relics played no ceremonial role in the festivities, which were organized by the city of Milan. 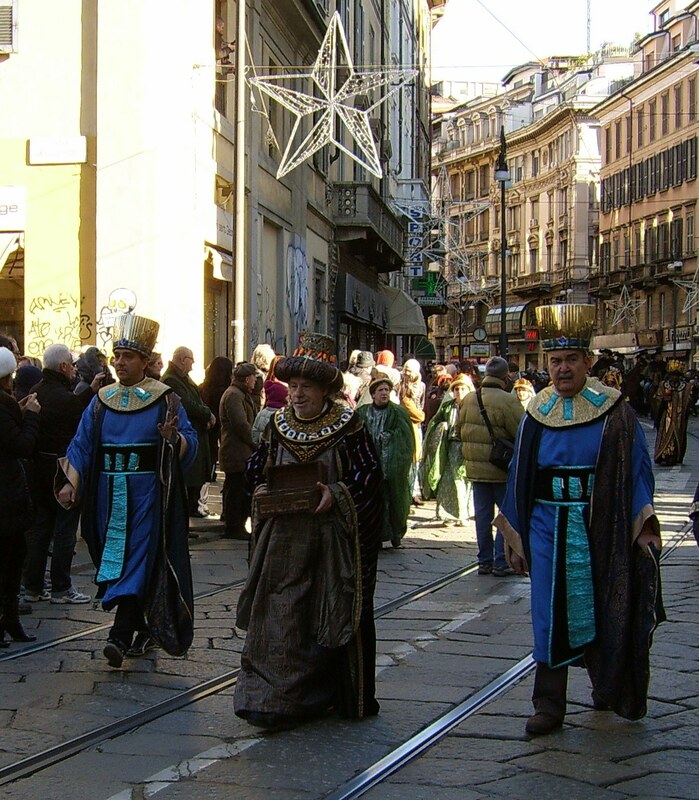 While the celebration of Epiphany through the sunny streets of Milan may be more modern than medieval, the Procession of the Magi is indelibly marked by early Christian traditions. 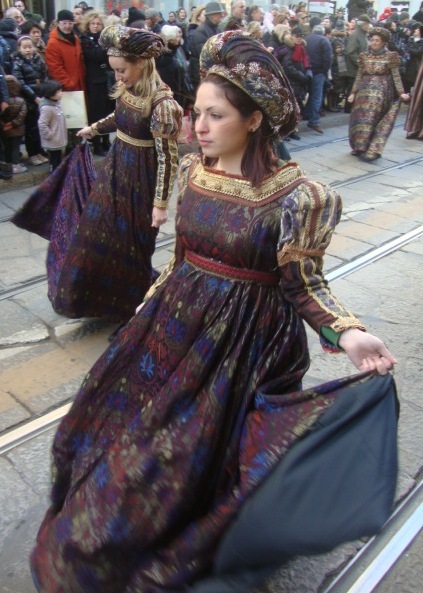 This is unavoidable when biblical stories, particularly those with a dearth of details, are expressed in visual and performing arts, such as mosaics, paintings and processions. 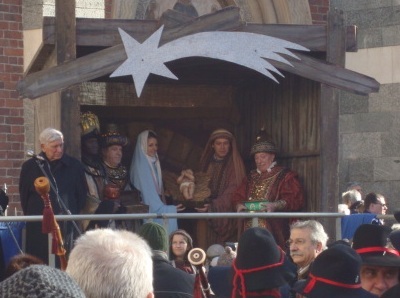 Matthew simply tells us that Magi (i.e., wise men, priests, astrologers) ‘from the East’ journeyed to Bethlehem to offer the Christ Child gifts of gold, frankincense and myrrh and then returned ‘to their own country’. 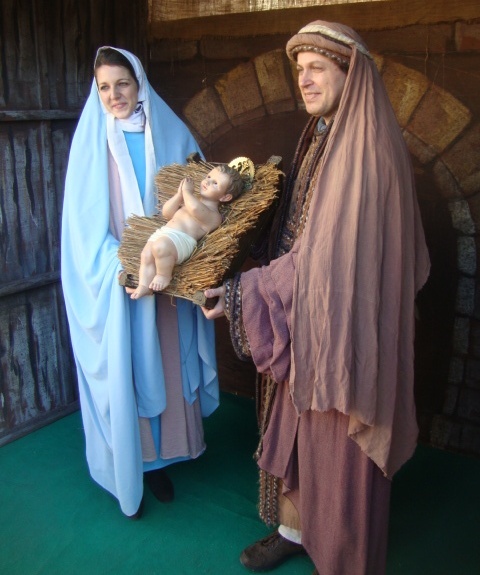 For Matthew, it was undoubtedly important to recount the story of non-Jewish foreigners acknowledging the Christ, and he certainly believed that the three gifts carried by the wise men were a fulfillment of Old Testament prophecy as well as signs and portents of the newborn child. 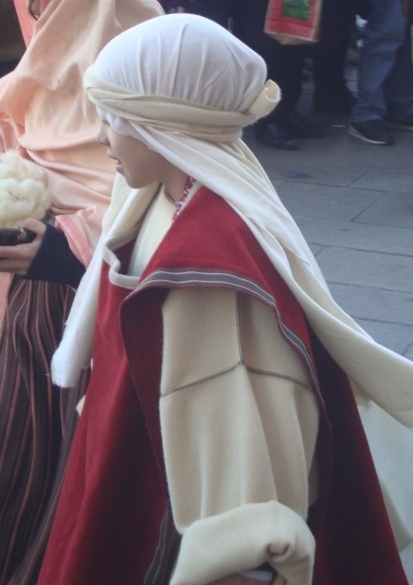 But that is all we know from Matthew. 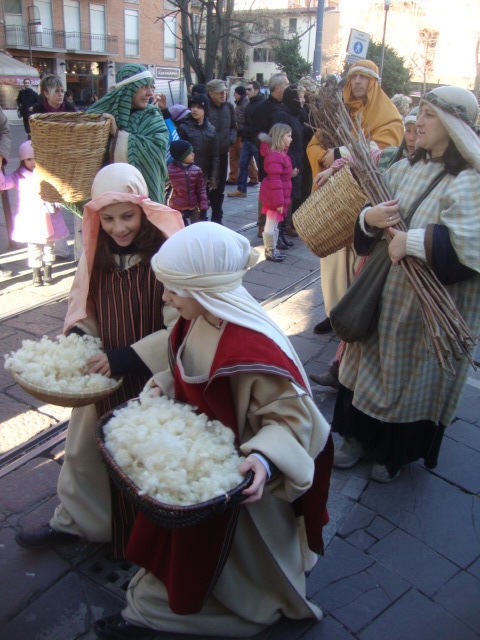 Christian tradition has done the rest. 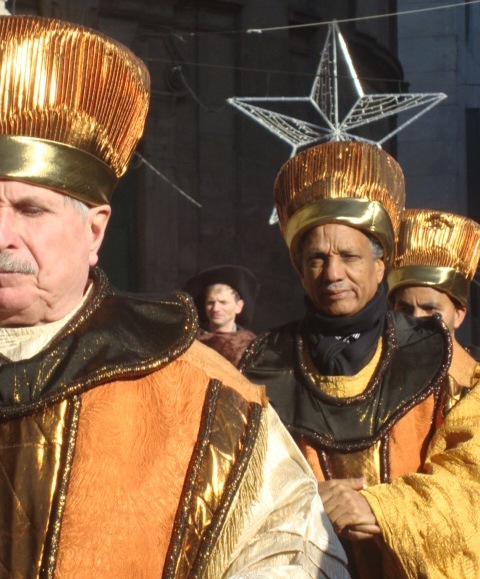 The Magi were soon upgraded to kings (see Psalm 72:11) and have been enumerated by the West as three, corresponding to the number of gifts. 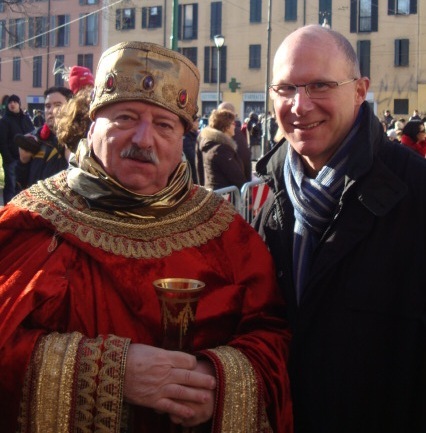 The ‘three’ wise men have been variously assigned names, ages, countries and continents. The sixth-century mosaic of the Magi in the Basilica di Sant’Apollinare Nuovo in Ravenna, Italy depicts the three Magi as coming from the same location but each of a different age — an older man with a white beard, a middle-aged man with a black beard and a beardless young man. 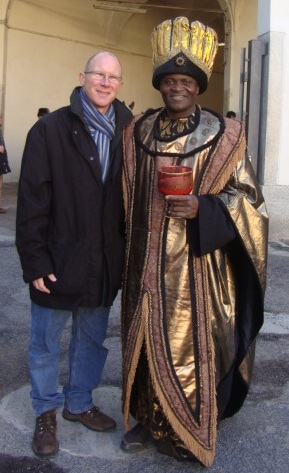 The wise men, though, came to be regarded as representing different countries and races. 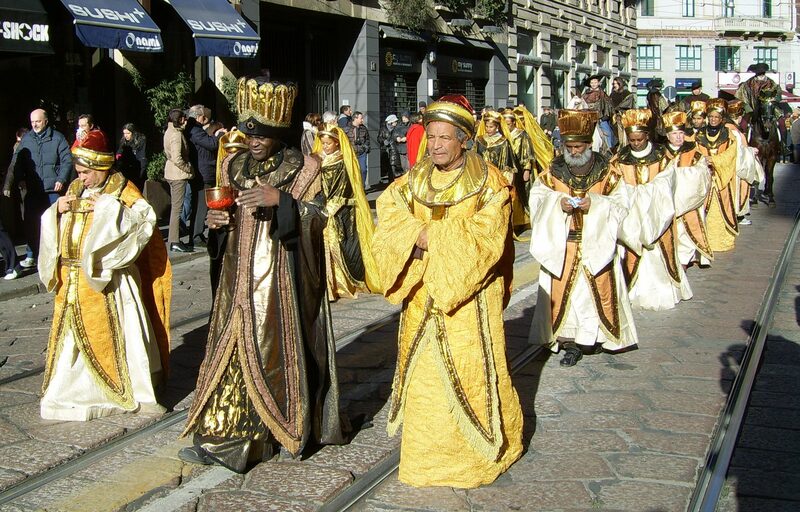 Among the traditions is their identification with the three continents of Asia, Europe and Africa as well as the depiction of one of the Magi as black. 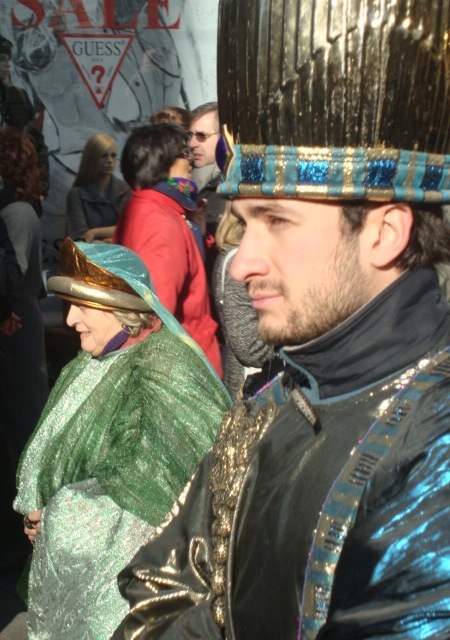 Specific countries identified with the wise men include Babylonia, Persia, Arabia, and Nubia. 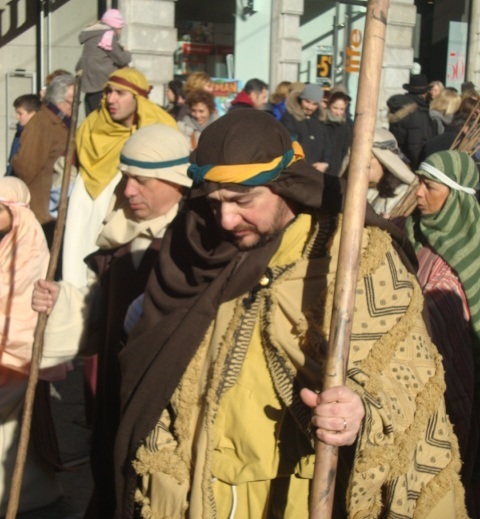 The names that would dominate the Western imagination are Melchior, Balthazar and Jaspar (also Caspar or Gaspar). 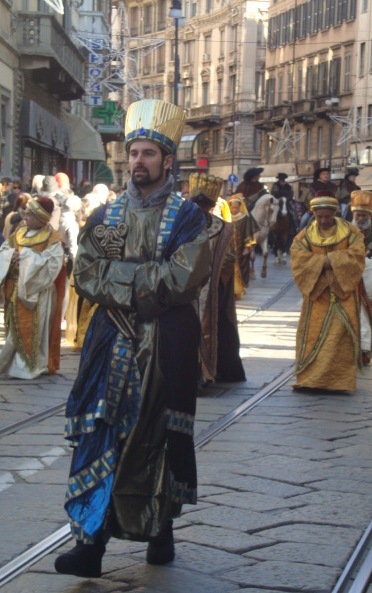 Each king has been variously assigned a name, a gift, and a country; however, while Melchior, for example, is often associated with the gift of Gold, no consistent profiles have emerged. 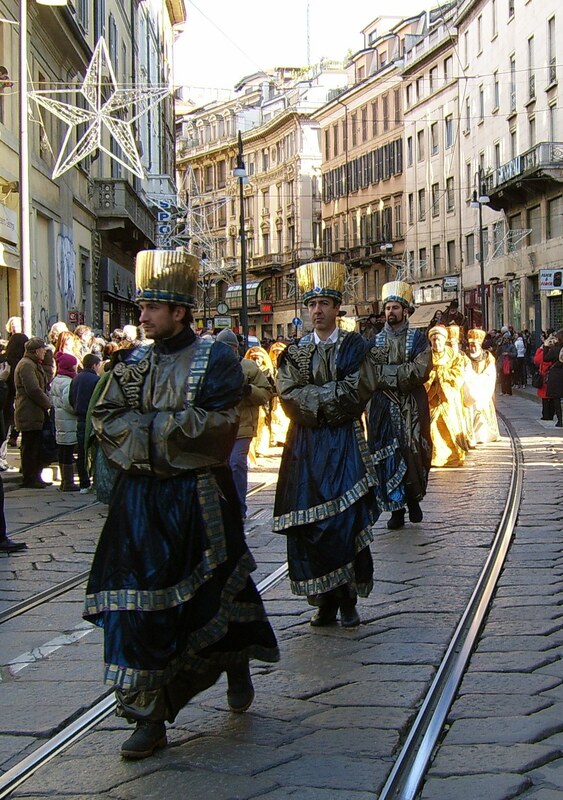 So how did the Milanese Procession of the Magi navigate the issue of tradition in depicting the biblical story of the Magi? 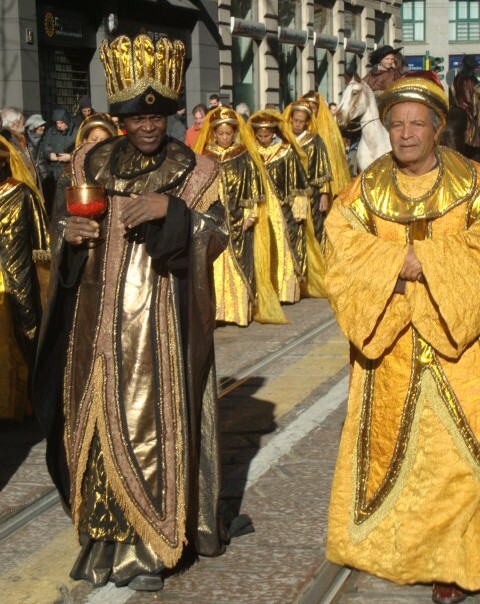 The gifts of gold, frankincense and myrrh, each respectively carried by a Magi, followed the order in which they appear in Matthew. 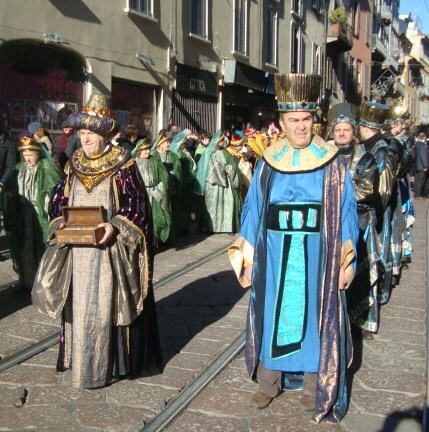 The Magi were depicted as kings. 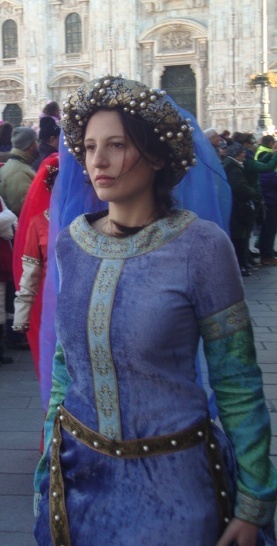 The traditional names of the Magi – Melchior, Balthazar and Jaspar – were used. 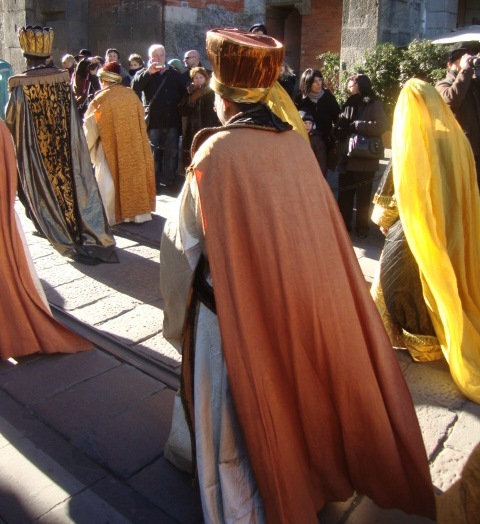 Melchior (red) carried the gold, Balthazar (blue) carried the frankincense, and Jaspar (yellow) carried the myrrh. 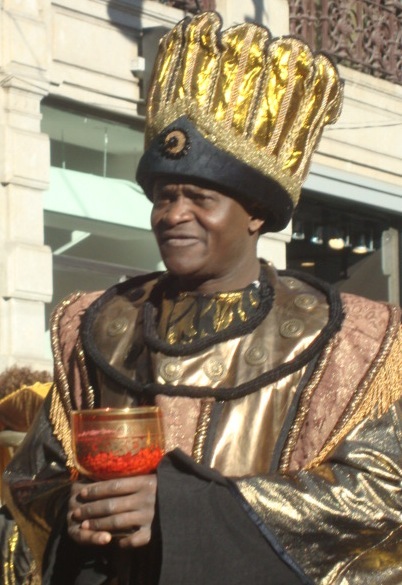 One of the Magi was black, but there was no recognizable age difference among the three persons portraying the Magi. 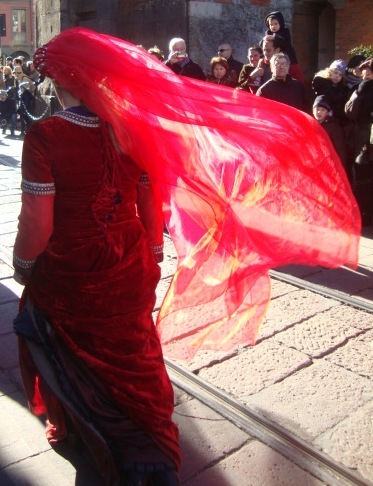 But that is where the intentional appeal to tradition ends. 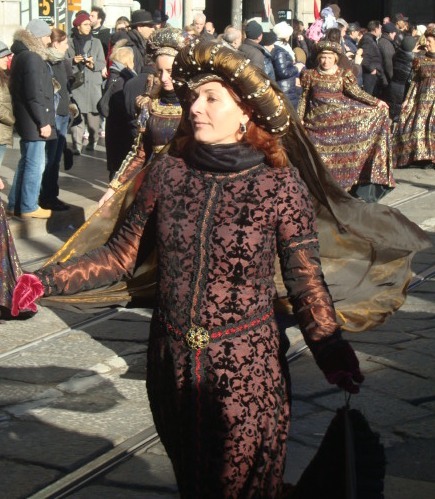 The Milan procession recognizes that there is no historical basis for identifying the Magi’s respective homes. 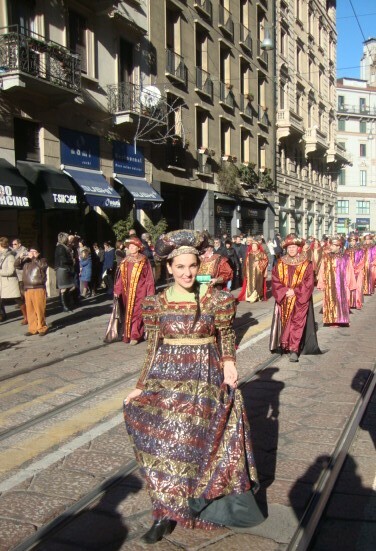 Therefore, although the costumes of each royal court had distinct colors and designs, there was no attempt to link the styles of the costumes with any particular country. 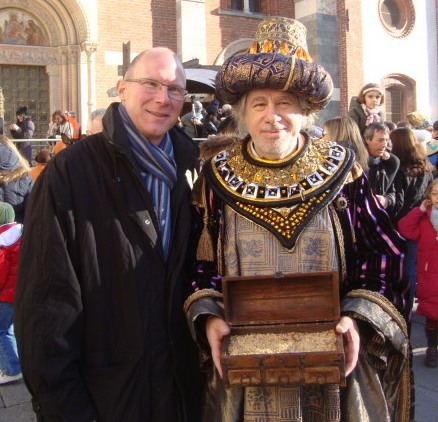 Similarly, the objects representing the gifts of the Magi were symbolic only – having lost the small wooden chests used in previous years, the organizers found new boxes and filled them with objects that could best represent the respective gifts. 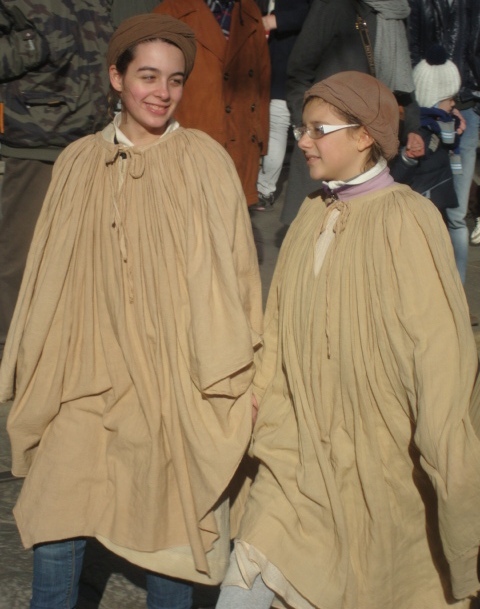 Great costumes. 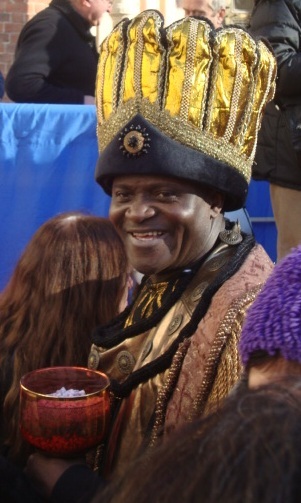 Love the cowboy hat! Super interesting, Rodney. Thanks for the careful context.